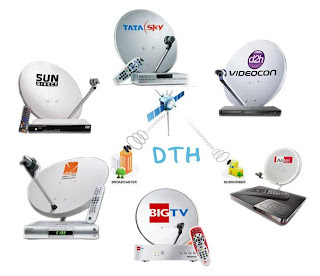 In this post, we will discuss about a various DTH HD recorders available for Indian consumers and how to connect it to your home theater gear to get the best performance. There are many DTH providers in India who gives HD TV channels (around 25), but the number and quality varies with each one. Apart from these true HD channels many DTH providers try to upscale SD (576i) channels to 1080i but in terms of video quality none of them come anywhere close to True HD. In India DTH providers give only 1080i not 1080P which has been recently launched abroad. Let us get into more details. With the introduction of Tivo box in USA, PVR (Personal Video Recorders) became mainstream and with its ease of use and utility it replaced tape based VCRs in every household. Its ability to “pause” live broadcasts was an instant hit. Using live pause we can continue to record the broadcast when the pause button is pressed, and then to replay the material stored on one part of the hard drive while carrying on recording the live broadcast on another part of the disk. Moreover it allows fast-forward, pause and rewind programs in a blink of the eye. To the horror of advertisers and broadcasters alike, this gives it the ability to skip through lengthy commercial brakes at the press of a button. It allows to schedule the recording using the program guide and applications available in various smart phones allows you to record your favorite programs setup in your home from anywhere in the World through Internet. 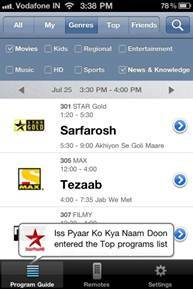 It even allows recording one program and watching another program and so in short, PVR made anytime is prime time. 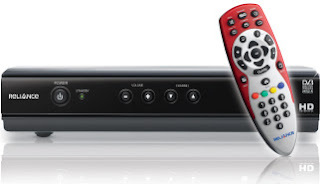 Tata Sky+ HD DVR box is sourced from Pace and is of average build quality compared to their own Tata Sky+ SD DVR which is very high build quality. It comes with a 500GB HDD to record more than 600 hours of SD video and has got almost all features of a conventional PVR which is very easy to operate. The GUI is excellent compared to all other HD DVRs available in India. It comes with an inbuilt fan for cooling unlike Airtel HD DVR box. 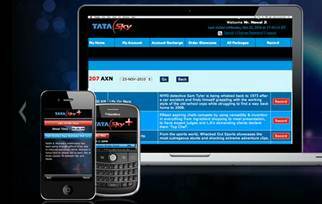 Tata Sky has recently launched a new application for iOS devices (iPhone/iPod Touch/iPad), which enables users to convert it into a universal remote control, by attaching an additional accessory to headphone jack. The same application allows you to record any programs from anywhere in the World too. It offers the programming listings for TV channels, it allows us define a room and configure the equipments in the room, TV, STB, DVD player, Amplifier etc. It also allows you to share what you are watching on social networks Facebook and Twitter. Moreover you can record your favorite program from anywhere provided you have Tata Sky+ or HD+ (PVR) so you will never miss your favorite program again! Good build quality compared other HD DVRs. Tata Sky provides an iPhone apps which acts as an activity based Universal remoter controller for all your audio / video gear. When you power on the box, it always shows channel 100 and does not remember the last channel you have viewed. It does not output 7.1 Dolby sound through its HDMI port, you will get a plane old stereo sound through HDMI. You need to connect this DVR through optical or coaxial cable to your AVR for 7.1 Dolby sound. So you need an HDMI for video and an optical cable for Dolby sound when you want to connect an AVR which is a limitation you have to live with. 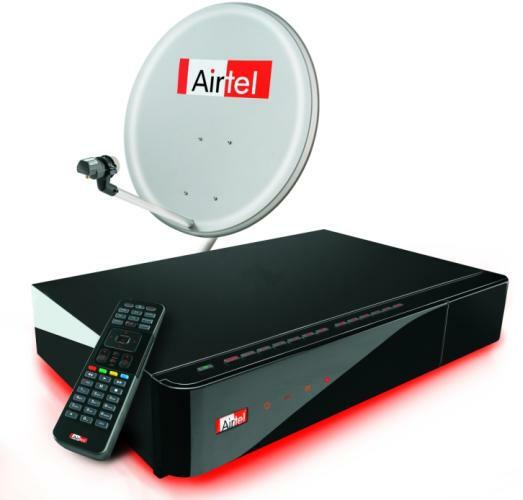 Airtel HD DVR is manufactured by HomeCast & boasts a premium black matte finish. Airtel digital TV HD DVR supports highest possible picture resolution of 1920 X 1080 and 3D support even though all the HD channels in India broadcast at 1080i resolution. It supports 7.1 Dolby sound too. Set top box is equipped with 320GB of hard disk drive which gives you around 550 hours of SD video recording, Unlike TataSky, Airtel HD recorder comes with an Aluminum heat sink to release all the heat generated (not very effective). All PVR functions like Recording, Play/Pause, Rewind functions work flawlessly and Slow Motion feature lets you watch any channel or recorded video in slow motion and catch all the details. All possible connectivity options are there to connect the STB to HDTV and a home theater. Airtel HD DVR supports 7.1 Dolby Digital surround sound through HDMI cable which is not available in TataSky HD DVR. When Power ON the set, it resumes the last viewed channel. The GUI is not as good as Tata Sky. When you Power ON the box, it always shows the last viewed channel unlike Tata Sky. It does output 7.1 Dolby sound through its HDMI port, so you can connect this DVR to the AVR through a single HDMI cable. It shows recorded content in genre wise. 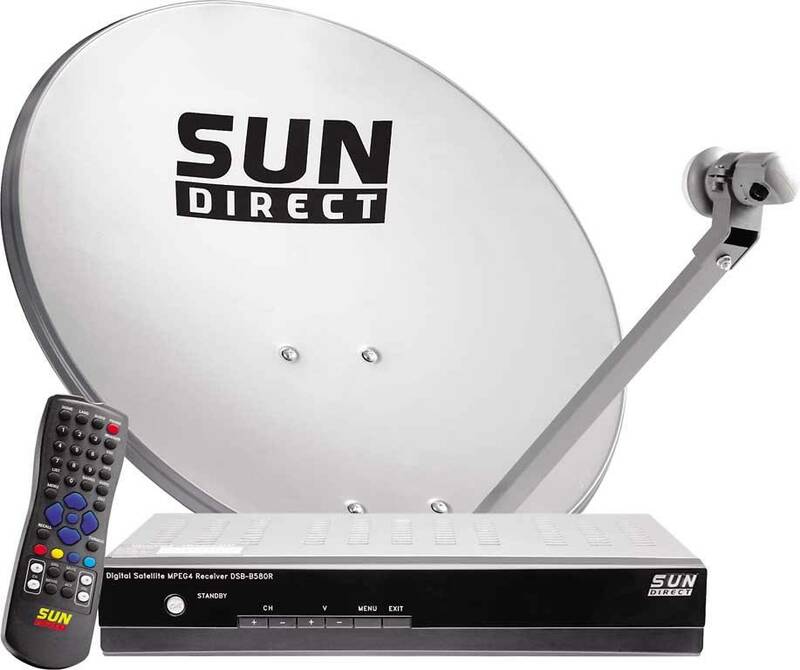 Sun HD is the first HD Receiver launched in India and is quite popular in South. It offers 8 HD Channels including 3 Tamil, and 2 Telugu HD channels. But it does not come with a DVR. The GUI is decent and picture and sound is great. It supports 1080i video 5.1 Dolby sounds which can be received through HDMI cable. 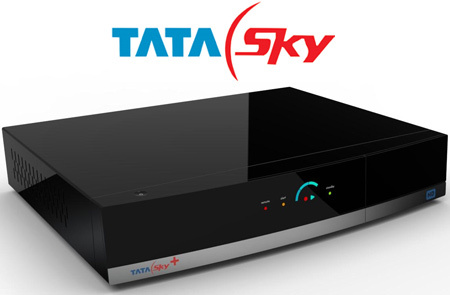 No need for separate optical or coaxial connections to AVR unlike in Tata Sky+ HD. 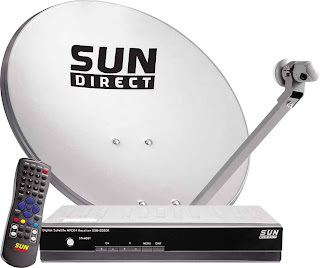 The only plus point in SunDirect is that you get maximum number of South Indian Channels both SD and HD. I have just included this set for awareness. I have never felt this box can be compared with what others offer. Being the first HD DVR in Indian market it has a bunch of drawbacks which cannot be tolerated. Your recording settings will vanish during a power recycling which renders it useless in Indian environment, you cannot record two programs. It comes with only 160GB HDD which is far less compared to the offerings from competition. Many have reported that it has a bunch of GUI issues as well as bugs; even the Logo is too big which comes in your way while watching the TV. Among these DTH HD DVRs the choice is between Tata SKY + HD and Air Tel HD DVR. The choice is simple if you prioritize your needs. For better overall experience Tata Sky may score over other providers but the lack of number of channels both HD and SD is an issue compared to Airtel HD which offers 14 HD channels and plenty of SD channels especially for South Indian languages. For ex: Tata Sky cut down Malayalam Channels to 4 recently whereas AirTel gives 14 Malayalam channels out of 28 Malayalam DTH channels available currently. Sun Direct and Dish TV does not market a HD DVR and Reliance is unreliable L Videocon D2H HD is omitted in this discussion since they are not popular at least in the South. I have not included pricing since it is almost comparable, hovering around Rs 4500/- for all boxes. The following table shows the listing of HD Channels across popular DTH services.